Australian snooker is on the rise with the breaks recorded during the tournament reflecting a high standard of play. In turn the players doing the heavy scoring are usually there in the finals. This not only happens in the amateur game, the pro game also reflects the same trend. Heavy scoring and staying in when you get a chance is the key to winning. Today sees the finals of the Ron Atkins Open in Tasmania and you have the usual suspects still there. Steve Mifsud and Johl Younger both have centuries in the event already and are scoring heavier than the rest of the field. I'd like to mention a player here who for me is the most improved player of the last 12 months. 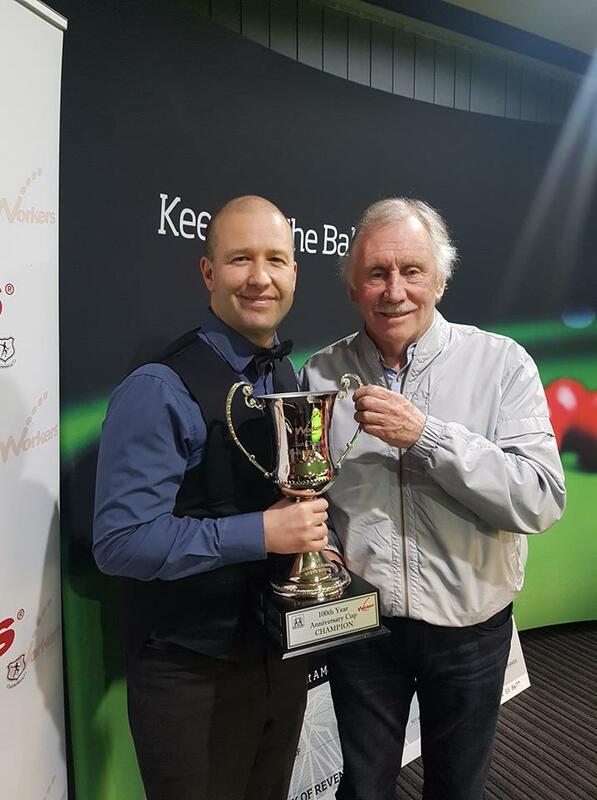 'Johl Younger' is back to winning tournaments again and has his mojo back for the game. As a young teenager my earliest memories of Johl were of him turning up with Shawn Budd, Stewart Lawler, and Michael Tillman running around Sydney playing pool comps and playing in snooker comps whenever and wherever they were. He just joined the team and of course we all took him to heart. In those days I was the go-to man for Shawn, Stew and Tillman as far as the snooker verbal was concerned. If I turned up at their comps they were out to impress their coach like all sports people like to do. I wish now I had spent a little time with Johl to find out more about him and his game. If I could go back to them days and knew then what I know now, I would have formed a team of players with Budd, Lawler, Younger, and Quinten Hann and made a better fist of it than I did. For me life also got in the way. I had become a very proficient blackjack player and scored a job in the US working for the Tommy Highland blackjack team. I was earning big money and walked away from the boys and the game for years. In hind sight it shaped my life to what it is today. Johl also stepped away from the game and went to the Gold Coast and hooked up with "The Duff", Craig Duffy and made good for his future. It was a good move but from a snooker point of view it may have cost him a life as a pro. Looking back the decisions we make in life when we are are young are so important. I could have gone another way with my snooker life. In 1979 I went to Manchester England and teamed up with Alex Higgins. He bought a brand new car and I became his driver, mate, come mentor. Alex offered to try to get me a pro ticket and he was willing to go to the powers-that-be and ask the question, but I refused his offer. If I could go back to 1979 I would have taken up his offer and maybe turned pro. You live with the choices you make when you are young. Johl seems to have a special gift at snooker, he can have years away from the game then come back and have an impact. It makes me think he has metal and would have been a great pro if things have been different. Good luck to all the players left in the Ron Atkins tournament. Regards, Gary.